Have long enjoyed a good reputation of the macro Yinzhai was founded in the late Qing Dynasty, is the Wu family was founded in Beijing, making business China national musical instrument of hundred years old store. The craft originated in the Qing Dynasty palace. So far from the first generation of founder Beller Wu Qirui Ye inheritance, has experienced five generations of one hundred years of history. In 2011 the "macro Yinzhai Sheng pipe production techniques" has included in the District of Haidian intangible cultural heritage, intangible cultural heritage, the national intangible cultural heritage list and was awarded the intangible cultural heritage protection production demonstration base in Beijing city cultural bureau. Macro Yinzhai after Wu family five generations of more than one hundred years of heritage, along with the development of China national music career, to China national wind inherits, innovation, comprehensive development. The Chinese national wind take on an altogether new aspect, unified standard production China national wind instrument, rescue, mining a large number of endangered ethnic musical instruments, the revival of the Millennium ancient musical instrument, reproducing the court musical instrument, and developed a variety of national instruments. Macro Yinzhai is the birth of modern national wind instrument, the cradle of the endangered ethnic instruments of regeneration, the Millennium ancient music of the resurrection, palace go to instrument representation, pieces of musical instruments recorded Chinese national wind instrument of the development process, is Chinese national wind instrument development a textbook of history. Macro Yinzhai Wu, dozens of years as one day and Chinese playing masters cooperation for the development of the suona, standardization, seriation, modernization, establishes the technical foundation, created the macro Yinzhai to add key suona high, medium and low, double bass comprehensive R & D mileage. 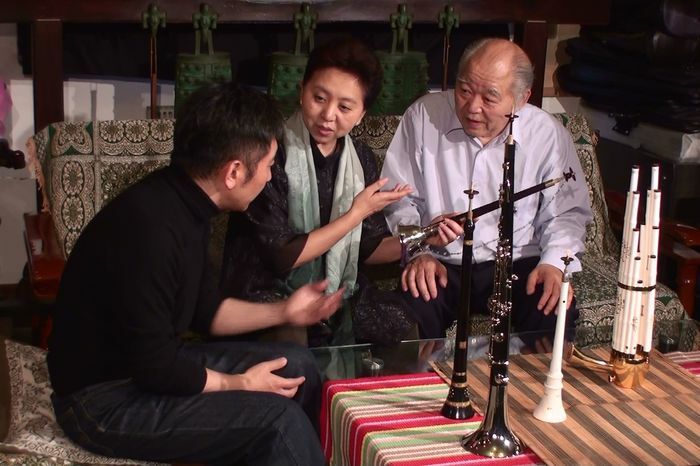 The Chinese national wind instrument from the early liberation only music, music is not low, development to the present, Alto, soprano tenor, bass, double bass, modernization, a series of National Symphonic, equipped with Chinese modern Chinese Orchestra, made outstanding contributions to the development of Chinese national music career.